And there's Potomac Street, N.W. which is far from Potomac Avenue, S.E. That is clearly incorrect - it should be Potomac Avenue, S.W. (and S.E. too). I even checked it against the District of Columbia's online GIS, confirming that the street sign is wrong. I'll drop a note to a buddy of mine at DDOT, who I think can get it corrected. Indeed it is wrong. 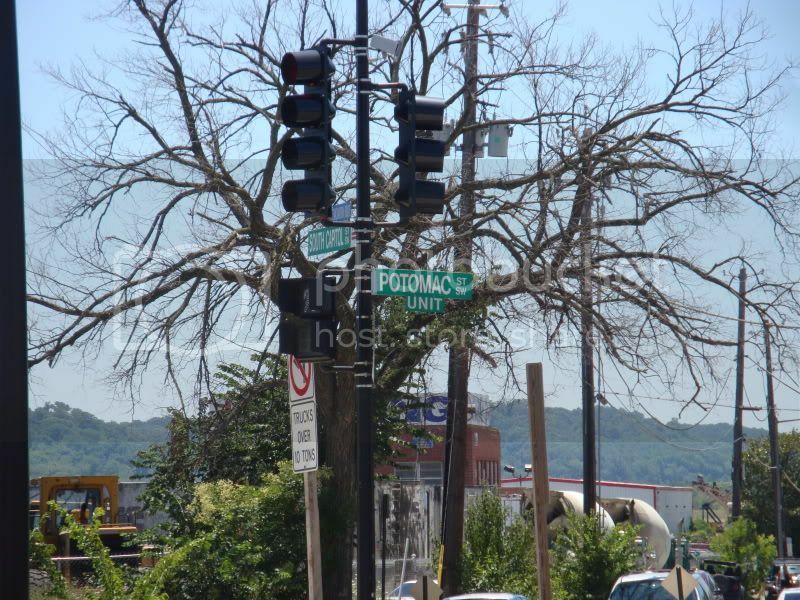 Until recently, a block away at 1st & Potomac SE (beyond the right field corner of the ballpark), the sign said "Potomac Ave St SE." Really! That was fixed last year. I had business in Southeast D.C. near there earlier today and snapped an image of that sign at Potomac Avenue, S.W. at South Capitol Street, which is still there (and still incorrect <smile>). Just annotated that image and e-mailed it to a colleague of mine at DDOT, who will forward to the correct group within DDOT. * Three National avenues. The original was just the north-south road curving east around 17th Street to go to National Cemetery No. 1 (thus it's name). However, the north-south route was extended south of 17th. Then when the U.S. 69 bypass was constructed, a diagonal was created beginning between 17th and 18th going southeast. This leaves you with National Avenue from the north city limits to South U.S. 69 where the bypass curves back to Main St., a National Avenue that extends from where the diagonal begins south to 19th St. that's really just a paved alley, and East National Ave., which leads from National at 17th to the National Cemetery. * At least three Huntington Boulevards, none of which are actually a boulevard. I saw an old 1950s map once that made it appear as though Huntington Blvd. was intended to be a rectangle around the fairgrounds. All that ever came of it was the north-south stretch along the east side that goes from 19th to 23rd streets, a 1/2 block strip going east from the south National Ave. extension to the current National/U.S. 69 intersection, and another strip that goes west from Margrave St. a half block to dead end at the railroad tracks. So not only are there all those confusing streets, but one of the Huntington Boulevards has its endpoints at TWO of the National Avenues. The quadrants in Portland could lend to some confusion, especially to newcomers and tourists. The Willamette divides the eastern and western halves (as well as the northwest and north quadrants), and most of the N/S streets are numbered. So you have NE 1st Ave (there is no SE 1st Ave) and NW/SW 1st Ave on either side of the river. The same quadrant system continues west into Washington County, and most of the county uses the NW & SW designations except Hillsboro. For instance, when traveling west on NW Cornell Rd, once you cross NW Cornelius Pass into the Beaverton numbering scheme, you are now on NE Cornell Rd. This also happens to a lesser extent in Gresham, which has dual names for many of their arterial N/S streets. So, in Gresham, you have SE 212th Ave (using the Portland naming), which is also NW Wallula Ave (Gresham naming) cross paths with E/W NW 15th St (Gresham naming). 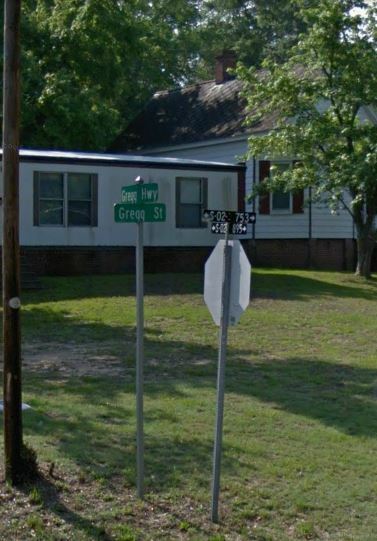 My mom grew up in Gainesville and they changed from named streets in the 1930s or 40s. She lived on Roper St which is now SE 2nd Ave or St... then moved out to the NE Waldo Road... the center of Gainesville has historic street signs that have the old names in smaller type. Back in about 1900, Orlando had both Deepdene and Deepolene. I suspect that one of them was a misreading of a handwritten subdivision plat. Verdugo Road and Verdugo Boulevard intersect in a small Los Angeles suburb called Montrose. Wow, what an awful name. Verdugo = executioner! The name dates back to when California was part of the Spanish Empire. In the 1700s, nearly two dozen missions were built, from San Diego up to somewhere north of San Francisco, I think near present-day Sonoma. The mission system didn't last very long and eventually giant cattle ranches ("ranchos") were established up and down California. One of the smaller ranchos in what is now the present-day Los Angeles metropolitan area was Rancho La Canada (pronounced Lah Can-YAH-dah--technically there's supposed to be a tilde ~ over the N, like jalapeno or pinata), which was granted by Spain to a fellow named Jose Maria Verdugo. Old Rancho La Canada encompassed the present-day communities of Glendale, Burbank, La Canada Flintridge (my home town), La Crescenta, Montrose and Tujunga (pronounced Tuh-HUN-gah). Franklin Rd. and Franklin Blvd. near Nampa, ID. Franklin Rd. is an East-West road that goes from Nampa all the way to Boise, and Franklin Blvd. is North-South and goes from Nampa up to US-20. They don't connect with each other either (but they come within less than two miles of each other). Now that I look at it, Google seems to suggest that the Blvd. is also called Franklin Rd. once you get north of Nampa, although the freeway exit labels it as Blvd. The US-20 exit in Caldwell (Exit 29) is also labelled Franklin Rd, even though it does not connect to the Franklin Rd. in Nampa-Meridia-Boise! That was interesting to learn that the term verdugo means executioner. The other day, I even talked to one of my neighbors (and even showed him a street map of the area in question), who's originally from Nogales, Mexico and he confirmed that's exactly what it means. So maybe centuries ago, a Spaniard with the last name of Verdugo would in fact be an executioner. Very much like Anglo/Saxon surnames such as Carpenter, Miller, Draper, Taylor and so forth. Anyway, in that part of the Los Angeles metropolitan area, Verdugo is a common name for at least one school, numerous businesses, and a hospital. Plus I forgot to mention a small community called Verdugo City, and finally, there's a small mountain range called the Verdugo Mountains which separate the San Fernando Valley from the Tujunga/La Crescenta/La Canada Flintridge area. Just looked over the copy of a county commission story. A person who lives just outside the city limits wants the name of the road he lives on changed from "235th St." to "235th Terrace." When the county first named the roads, they didn't account for the fact that 235th is broken up into several parts and on a couple of occasions, emergency vehicles ended up going to the wrong place. The red dot and the blue dot would have the same address if there were properties at both locations. There's actually only some farmland where the red dot is located. The reason the county named both of them 235th St. is how they line up in the E911 grid system. Anyone looking for the petitioner's address ends up where the red dot is first, then has to double back to Maple Road and drive about a half mile east to get to the road he actually lives on. While they are obviously not streets or highways at all, I'd like to mention how the Seattle-area cities of Renton and Redmond always confuse me. I always get them mixed up. To help me remember, I always tell myself Microsoft's in Redmond and 737s are built in Renton. There is a George Washington Highway in Chesapeake, and a George Washington Memorial Highway in Gloucester and York Counties. Even worse, both carry US 17. So they're both part of the same long-distance road. What's the problem? We just came home from Nationals Park. The sign has been fixed. Your colleague got the job done. Behold the power of the AARoads Forum! The new sign is one of the new mixed-case signs. I didn't get a picture because we were on the far side of the street and my iPhone would have taken too grainy an image. Throughout Washington County in Oregon, there are numerous N-S numbered avenues, however, if you have a street in-between the gridded roads, they will be the same as the more eastern number, then followed by Place or Drive, instead of Avenue. Numerous locations in cities where they have avenues on one cardinal path and streets on another. To mis-quote Kramer "1st St and 1st Ave, it is the center of the universe." Flint, MI - Numbered streets run parallel to the Flint River. However, rather than North on the North of the River, and South on the South side of the River, the Avenues run on the North of the River, and Streets run on the South Side. It gets confusing when when you are talking to someone who has never been there before. Again in Michigan... US-24, M-24, and Business US-24 all within a few miles of each other in and around Pontiac/Auburn Hills. Frontage roads on Detroit Style freeways, both frontage roads have the same name, so you can't easily tell which one a business is really on, until you figure out the addressing. My county used to have this problem quite frequently, however when they reorganized the emergency services they got rid of the duplications. They now allow duplication within the county, but not within the same ZIP code, or within 15 miles, which because we are on two islands, makes them rare now. It is also confusing when roads have huge gaps in them, but have the same name, simply because they fit the grid. It makes it very difficult to navigate some Western cities, like Portland and Seattle (and their suburbs). More on the Oregon front . . .
One real facepalm I can think of is with the Eugene-Springfield area. Centennial Boulevard was/is a major east-west thoroughfare that runs through both Eugene and Springfield, and, once it arrives in Springfield, it has an intersection with Pioneer Parkway (part of which is OR-528). Sometime in the 1990s, Eugene decided to honor Martin Luther King Jr., by renaming their section of Centennial Boulevard to Martin Luther King Jr. Boulevard. In the mid-00s, Springfield also decided to honor MLK, but rather than simply renaming their stretch of Centennial to follow suit with Eugene, they decided to name a new northern extension of Pioneer Parkway as Martin Luther King Jr. Parkway. So, in effect, the Pioneer/Centennial intersection is between two roads that, just a short distance away, become MLK something. Don't forget Court and Terrace (and I seem to recall a numbered Lane, too). And Hillsboro's strange fondness for "Street Drive" (e.g. NE 11th St Dr, which is especially peculiar, since Hillsboro uses Avenue as the standard for N-S numbered streets). The Ct/Ter/Pl/Dr/Ln tendencies tend to apply to continuations of named streets, too (see SW Augusta Lane, Street, Drive, Court, and Place in Aloha). There's also 5 SW Jay Streets in Washington County--one from SW Cornelius Pass Road to SW 206th Avenue, another from SW 204th Avenue to SW 199th Court, one from SW 185th Avenue to SW 176th Terrace (and the Jay designation goes around the bend when it runs into a T at SW 179th Court), one that's a dead-end off of SW 175th Avenue, and another from SW 162nd Avenue to SW Jenkins Road (on the southwest edge of Nike HQ). Confusingly enough, the one that ends at 206th on its east end continues further east as SW Keylock Lane, and runs into another SW 204th Avenue, which is not connected to the one from which the next SW Jay Street beings. Additionally, the north-south divider at that point is supposedly Baseline Road, which often carries the designation of W Baseline Road, though sometimes becomes SW Baseline Road. And even when it is marked as "W", some of the roads directly north of it are still marked as "SW" for a few blocks if in unincorporated Washington County (which actually seems to treat Beaverton Creek as the divider). It gets to be an all-out fustercluck when Baseline runs into the east edge of the Hillsboro city limits at Cornelius Pass Road, and the stretch of Cornelius Pass within a few blocks of Baseline goes from being SW, to NE, to SW, to NW. And W Baseline Road acts as the division between NE and SE streets in Hillsboro east of Brookwood Avenue/Parkway (which also manages go run the "tetrafecta" through SW, SE, NW and NE). And don't get me started on how SW 229th Ave turns into SE 67th. Also, Hillsboro happens to have two Alder Streets that are in completely different parts of town--SE Alder Street, and then NE Alder Street up in Orenco (which only became part of Hillsboro in the 1990s-era of Hillsboro and Beaverton's "manifest destiny"), Beaverton has SW Davis Road and SW Davies Road on the south end of town, and Tigard used to have both SW Frewing Lane (off SW 135th Ave) and SW Frewing Street (off OR-99W), not particularly close to one another, but seems to have mysteriously renamed Frewing Lane as Feiring Lane. M-24 in Michigan is very often referred to as Lapeer Rd. However, in a few towns, including the one I lived in, Lake Orion, this wasn't quite true. Within the city limits, M-24 was originally named Broadway Street. There is a Lapeer St. within the city limits, one block West of Broadway (I'm not sure if there was a cuplet or not). Just South of downtown, M-24 veers off of broadway to bypass downtown, which is then called Park Blvd, until it reaches the Northern city limits, at which point it returns to Lapeer Rd. So often I would be directed to something on Lapeer, and either go looking for it on M-24 or on Lapeer St., and it was on the other road named Lapeer. This is of course not to be confused with Lapeer Rd. which is the former routing of M-21 between Flint and Lapeer. M-24 and M-21 used to meet in Lapeer, now M-21 has been supplanted by I-69. How about Old Hickory Blvd in Nashville, TN? Across the CSRA, Aiken County tends to do this quite a bit. 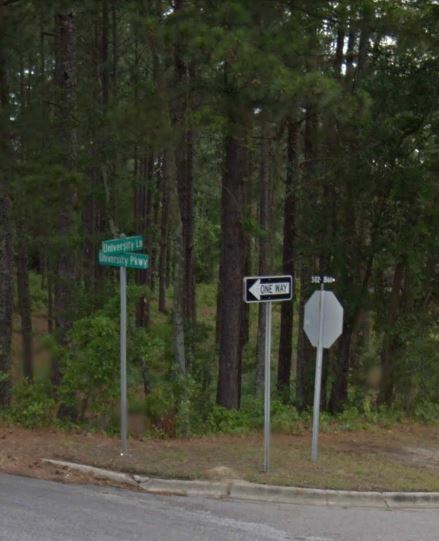 For example, there's SOUTH AIKEN LN and SOUTH AIKEN BLVD. Yes, near South Aiken High School. In Orlando we have two McGuires. One called McGuire Boulevard on the east side of town and the other is McGuire Road on the west end. Both roads respectively have intersections with Highway 50, and therefore on commercials and radio traffic reports you will here someone mention the intersection of 50 and McGuire. That making you wonder which McGuire intersection they're talking about. Boone, NC has NC Highway 105, NC 105 Extension, and NC 105 Bypass. There is also a University Circle, University Drive, and University Hall Drive, as well as Appalachian Street and Appalachian Drive. And more "Old US 421s" than you can shake a stick at.